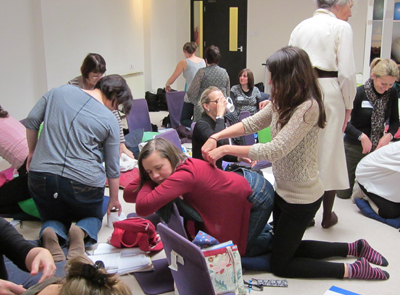 The KG Hypnobirthing Teacher Training course covers the rationale of why hypnobirthing works so well, and how the body, mind and hormones work together. You will learn how to teach the breathing and visualisations that support a woman so well in labour, and the relaxations that she can use beforehand and also when she is giving birth to her baby. The work we do to release fear is a very important part of hypnobirthing, which enables her to have a positive experience of pregnancy and birth. We also equip you with the skills to teach a woman what alternatives are available to her in labour and the implications of the choices she makes, so that she can use the hypnobirthing she has learnt to best advantage in the system in which she finds herself. The Birthing Foundation online course is taught by Katharine Graves and two senior midwifes who are also experienced KG Hypnobirthing teachers. If you are already a midwife or qualified birth professional you receive exemption from the Birthing Foundation module but, as we look at things a little differently, we include this module free of charge. 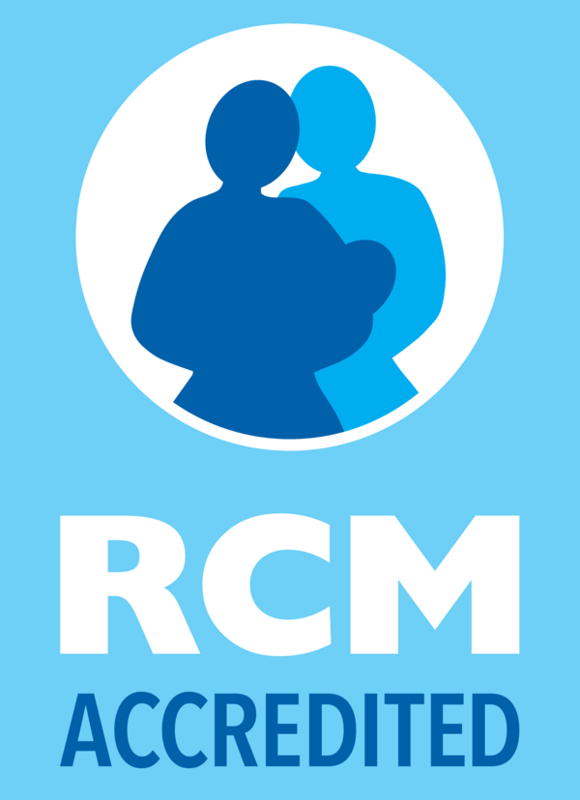 This module includes an introduction to rebozo , the Mexican technique that can increase comfort in labour, and encourage a breech or back-to-back baby to change position. It is an extremely powerful method, and even experienced midwives have told us that it throws new light on their work. This module is delivered online and streamed onto your computer. If you are already trained in hypnotherapy you receive exemption from the Introduction to Hypnotherapy module. If you have trained in NLP or are already a hypnotherapist, you can access this module at the repeaters’ rate. This is one part of the course that is sometimes under-estimated. It is important for teachers to have an understanding of and practice in hypnotherapy before they start to teach couples hypnobirthing, otherwise they will just be repeating the material by rote. To have a brief explanation is quite different to having been shown the hypnotherapy techniques. We will provide you with the best possible training, and you are given an in-depth manual to refer to after the course. KG Hypnobirthing Teacher Training Course is taught by an experienced specialist hypnobirthing teacher. This module is the core of the course and we go through the content of the course, exploring why it is constructed as it is, and explaining how to teach it. On this module you are given a copy of The Hypnobirthing Book, the KG Hypnobirthing relaxation CD; Colour and Calmness; your teaching folder and a copy of the handouts you give to parents when you teach. There is also a section on getting going as a new KG Hypnobirthing teacher, which includes information on marketing, insurance, etc. ; This is enormously helpful when you start teaching. There is an open book assessment which will provide you with a final opportunity to go through all the course material when you have finished to make sure you have everything you need to know at your fingertips. Once you have completed the assessment you will receive your diploma. After the course we provide on-going support. There is always someone here to give help and advice by phone or email. We pride ourselves on the speed of our response and the support we give our teachers. We have a private facebook group, kghypnobirthing, for the mutual support of teachers, and we also have a public group for discussion and disseminating information about hypnobirthing. We have a regular newsletter to keep our teachers in touch with the latest developments in hypnobirthing and the world of birth. At the end of the course, when you have completed your assessment and qualified, you will have access to all the written material in electronic format so you can download it when you teach a course. You can book online here and please feel free to call and discuss your application if you have any questions that are not covered in our general information. We welcome every and any question you may have as our purpose is to ensure that everyone gets the very best training and is fully qualified to be a Diploma holding KG Hypnobirthing Practitioner, it is a great opportunity to spend time learning about what you want to achieve.